While we restrain oil production in this country, Canada is tapping their resource with new found vigor. 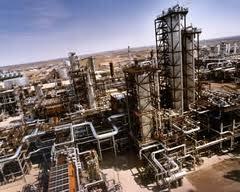 Mary Anastasia O’Grady writes in the 9/12/2011 Wall Street Journal, Canada’s Oil Sands Are a Jobs Gusher. Having spent an hour the day before with Ron Liepert, the energy minister from the Canadian province of Alberta, I found it especially disturbing to hear nothing in the speech about reversing the administration’s anti-fossil-fuels agenda. Canada has recovered all the jobs it lost in the 2009 recession, and Alberta’s oil sands are no small part of that. The province is on track to become the world’s second-largest oil producer, after Saudi Arabia, within 10 years. Meanwhile Mr. Obama clings to his subsidies for solar panels and his religious faith in green jobs. U.S. unemployment is high because capital is on strike. Short-term offers to coax investors into taking new risks aren’t going to cut it when they have been forewarned that the president intends to pay for it all by raising taxes in the out years. The market dropped over 300 points the day after Mr. Obama’s speech. Alberta is now producing two million barrels per day but expects that number will grow to four to five million within a decade. Alberta’s oil and gas industry supports more than 271,000 direct jobs and hundreds of thousands of indirect jobs in sectors such as construction, manufacturing and financial services. The province has an unemployment rate of 5.6%. There are also some 960 American companies involved in Alberta energy, supplying equipment and technology, among other things. As an example, Mr. Liepert says, “dozens of Caterpillar tractors, made in Illinois and Michigan and costing $5 million a piece” work the oil sands. He says the region is on track to create more than 400,000 direct American jobs by 2035. The Bakken region of North Dakota, where private land ownership gives drillers relief from federal obstructionism, shares a similar, if smaller, story. Oil production there is booming, and North Dakota unemployment is 3.3%.